In addition, the ad load in long-form content continued to climb in Q3 '13, to 11.6 video ads per video view, the highest level FreeWheel has recorded to date, up from 9.1 ads in Q3 '12. 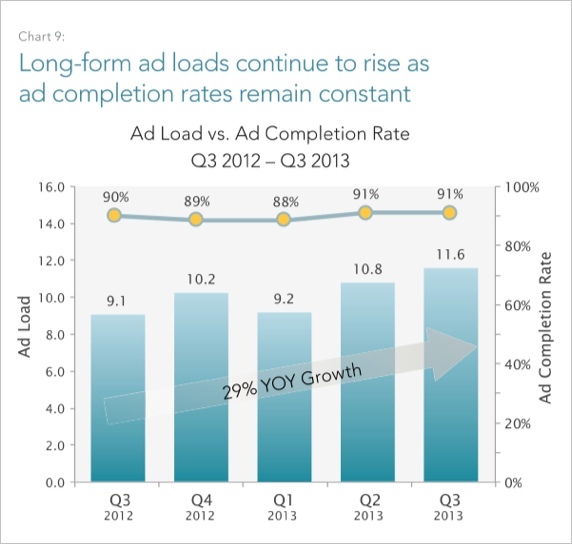 Nonetheless, ad completion rates in Q3 '13 stayed constant from Q2 '13, at 91%. FreeWheel also reported the popularity of specific content genres; no surprise, sports was at the top, with 20% of ad views, followed by music with 17%. Scripted drama recorded a 73% jump in year-over-year ad views, the largest of any genre. 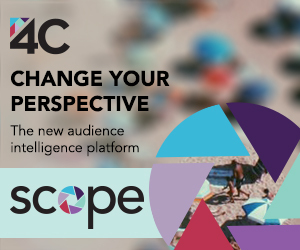 Taken together, the data is very encouraging for pay-TV operators and networks, as TV Everywhere not only counters OTT competition, but also offers a key opportunity to offset DVR-based ad-skipping. With DVRs now in over 50% of U.S. homes (driven by pay-TV operators' own aggressive promotions), TV Everywhere gives the industry an opportunity to re-instate advertising as a core part of the viewing experience. 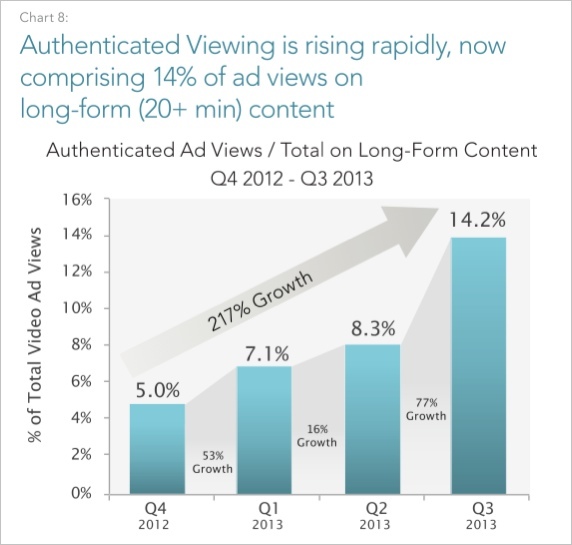 Overall, long-form video ad views grew by 56% year-over-year, outpacing the 30% growth rate for short-form content. While long-form is the province of pay-TV operators moving online, short-form is the specialty of online-only video aggregators/creators (what FreeWheel refers to as Digital Pure-Plays or "DPPs"). 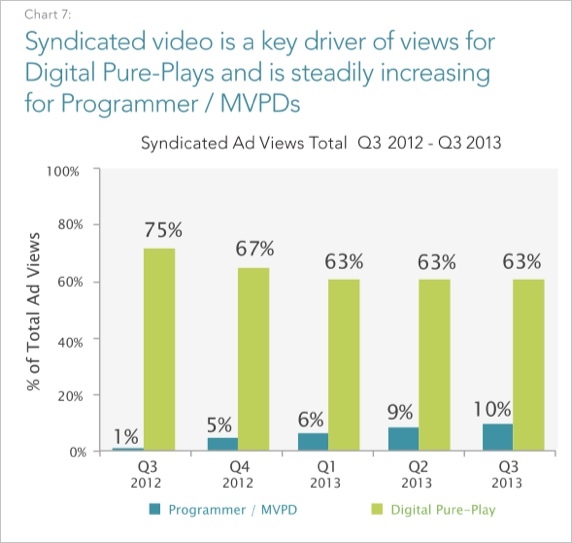 As in prior quarters, DPPs generated the majority (63%) of their ad views by syndicating their video through their publisher networks. DPPs increased their monetization rate of short-form content, up from 35% of clips carrying a pre-roll in Q3 '12 to 45% in Q3 '13. Almost 50% of those pre-rolls are 30-second spots. Finally, while desktop viewing still accounts for the lion's share (86%) of video ad views, mobile, tablet and connected TV devices continued to increase their share year-over-year, by 365%, 235% and 125% respectively. 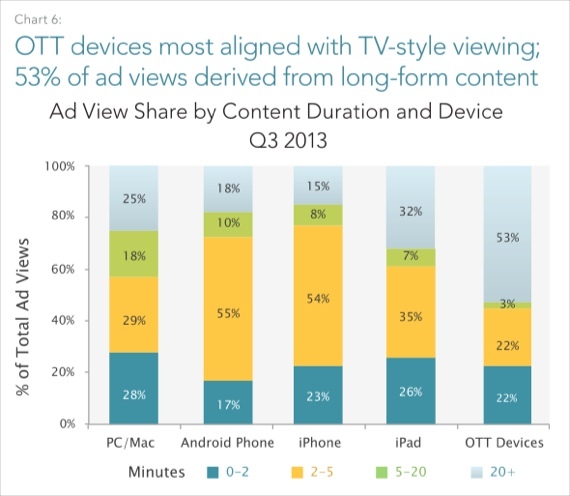 Short-form accounted for 75% of viewing on mobile phones and 61% on tablets, while long-form accounted for 53% of viewing on connected TV devices. The full Q3 '13 report is available for complimentary download.